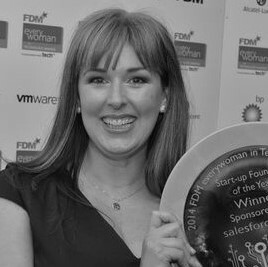 Elizabeth Clark is the CEO of Dream Agility and winner of the FDM Everywoman in Technology – Best Start Up 2014. Dream Agility has developed the UK’s first dedicated platform for managing inventory advertising on Google’s rapidly growing Product Listing Ads, targeting customers at the point of purchase. Prior to this, Elizabeth had a break from Tech after she was part of the Management Team which floated Technology Transfer Company, Tororak, for £50million, and applied her interpersonal skills in teaching Finance and Tech Professionals ‘flirting’ skills. She is the Author of ‘Flirting for Dummies’ and the UK’s first flirting audio book ‘Flirt Guru’. Elizabeth shared the plans Google has for increasing your sales/customer base with it’s revolutionary move to feed-based advertising and connecting local businesses with local customers; for the first time ever putting offline businesses ahead of online only businesses!